The river Scheldt and its tributaries have an enormous touristic potential through its colourful urban landscapes and regionally situated heritage. The heritage of the Scheldt area has a huge potential compared to the Loire area. In an area that is much smaller than the Loire region, more than 63 interesting castles are located. In other words, in the Scheldt valley the concentration of heritage assets is much denser. On the landscape level, we have 6 regional parks, monuments classified as World Heritage and more than 7 interesting cities deserving a lot of interest. This makes the heritage of the Scheldt river and its tributaries an interesting area for quality tourism, suitable for short time visits, longer stays and travelling. 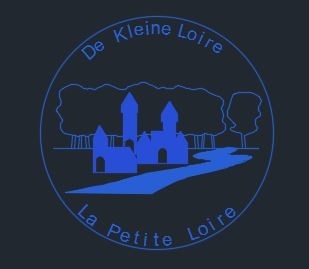 The Little Loire also covers a variety of interesting landscapes from rural to high density urban areas. Currently of the 63 castles that were part of the investigation, some are permanently accessible to the public others partly because of private ownership. This is why the Little Loire program is evaluating methods to smoothen the encounter between the visitor and the inhabitants considering the physical reality of the sites, the enriched rendez-vous. The Little Loire castle access menu should both have a generic and a specific approach. Some castles allow only access to the gardens whereas others show extensive collections in a exclusive interior. For some the complete story of the castle and its families enriches the visit and fulfills adventurous expectations. There is a big opportunity to create an international cooperation to combine the individual initiatives into a larger European initiative. Within this project, each participating partner can present its historical highlights, both in a rural and urban context, to create a common promotion and presentation of the Scheldt region. The goal of this project, initiated by the city of Zottegem, is to develop an inter-regional European tourism cooperation with the relevant regions: Le Nord et Le Pas Calais, L'Avesnois, Hainaut, East Flanders , West Flanders and several European organisations of private castle owners. The goal is to create an economical validation of heritage in the perspective of sustainable heritage management. This can be realized by working on two levels: the inter-regional presentation and the practical local organisation. Presentation and communication will be based on modern Internet technologies.